I love Fridays. Although it makes me miss being at home with the girls, it does make me appreciate Fridays all the more when they come around so I try to make the most of them. With all the shenanigans going on at work, I had to give up my Fridays and put the girls into childcare five days a week until things were negotiated and sorted out, and now that it’s done, and Fridays are mine once again, I have been able to cancel my Friday booking and pull them out. Today was to be their last Friday so I figured that given I was paying for it, I would take advantage of the free day and tick off a few things first. Playdate at the Park: a catch up with KB for a playdate in the park kicked off our morning and so that was our priority this morning before I dropped the girls off just before lunch. 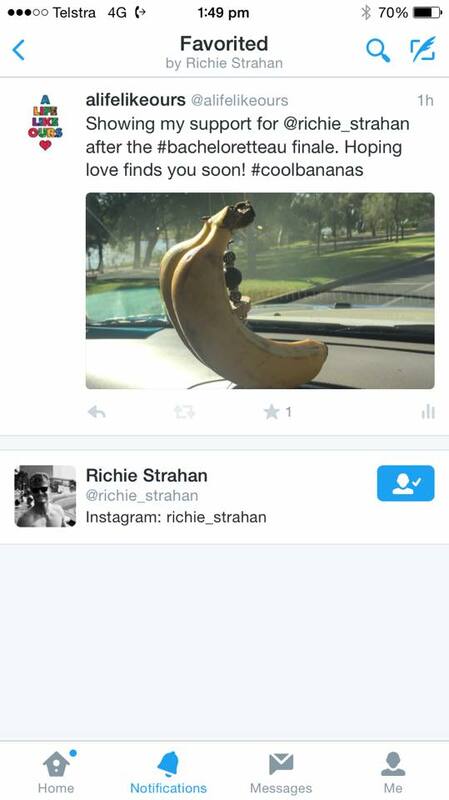 Fulfil the promise I made to my Bachie Fangirl crew: which was to complete my #putyourbananasout challenge in support of my fave bachelor in the Bachelorette season – #teamRichie – he even favourited it! 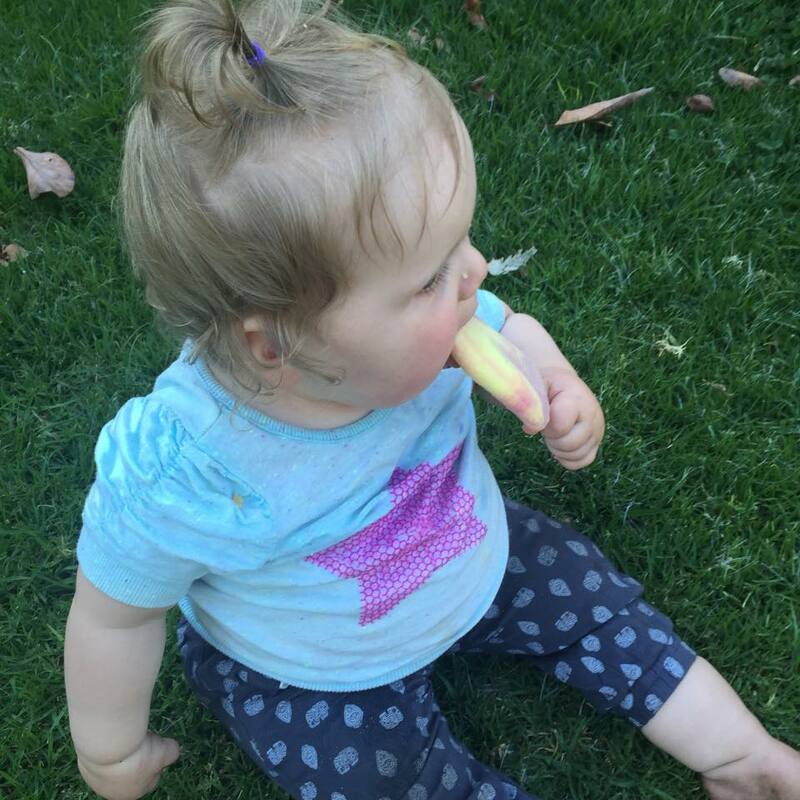 Run all the errands: including buying presents for the three birthday girls we have parties for on Sunday, pick up the few things we need for our camping trip next week, indulge in a little pedi… you know, because I could. Tidy up house: but fortunately, a timely visit from Mrs Pett put the kibosh on those plans (thank goodness). 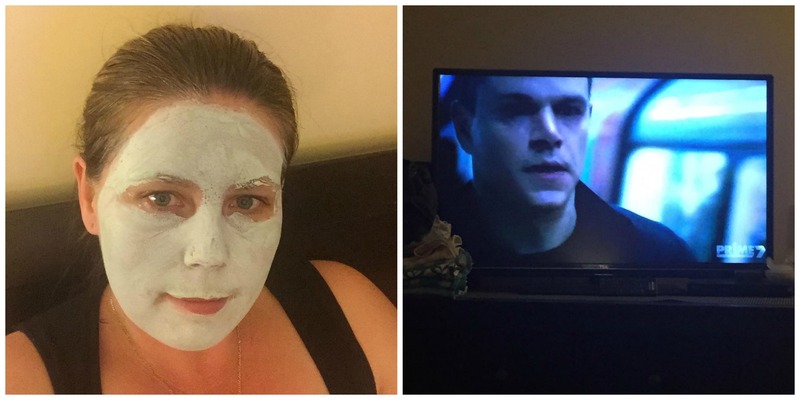 And pretty much after that, it was all systems go for the bedtime routine. But we snuck in a little treat first. After a relatively uneventful bedtime, my motivation plummeted and I found myself bored and aimlessly plodding around. After plonking myself on the couch for a bit, I watched the new Bachie lovebirds do their first TV interview and it finally clicked what was wrong. I was missing the banter from my Bachie fangirls. Believe it or not, I’m actually trying to smile! If I could share the contents of the conversation over the past two days I would, but alas, it would be NSFW! But we covered off everything from domestic chores and hot bachelor bods, to nightly dreams and even nature topics such as whale-watching. I can tell that camping next week is going to be epic with these funny ladies! And if nothing else, it finished off my Friday quite nicely. Happy weekend peeps! What is your favourite day of the week? How have are you kicking off your weekend?